I need to get acquainted with quinoa! 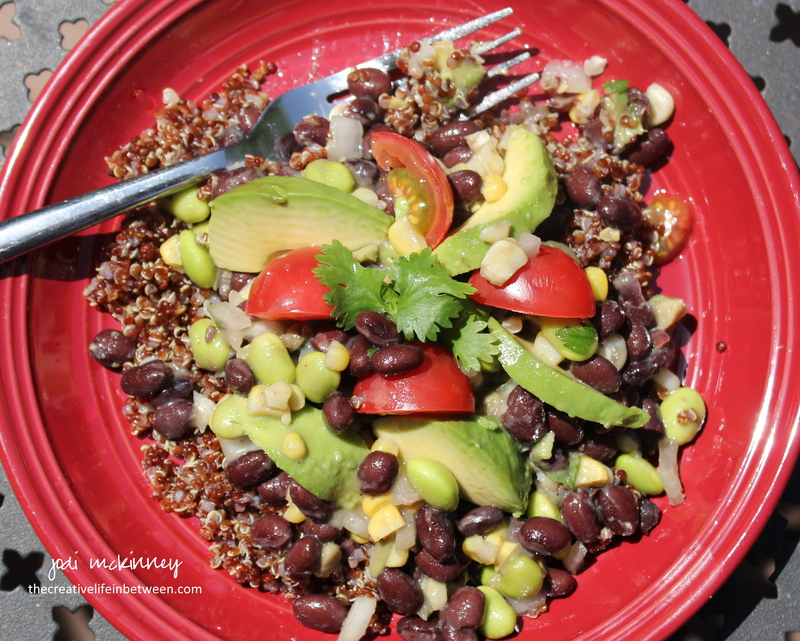 Quinoa is a very versatile grain and I’m trying to use it more often. I found a chocolate cake recipe that uses cooked quinoa and it is delicious! I will try this recipe, except I must omit the onion – I detest them! Thank-you for lunch, must get cooking. Looks so good! Except that I have never eaten Quinoa. You make something so healthy look so tasty! It is a newer trend of a healthy grain that is a protein. It takes a little getting acquainted with but can be amazing! Quinoa is something that is healthy but I don’t like 😉 I’ve tried it with the veggies once and I didn’t like it. 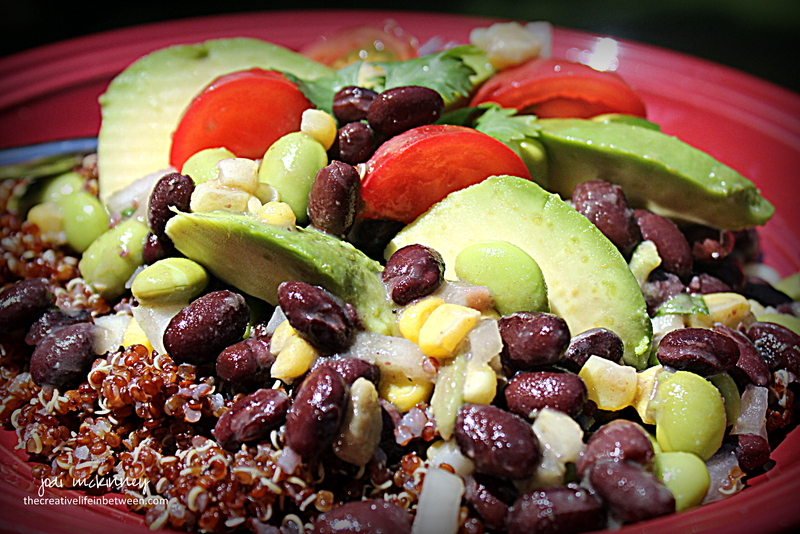 Your bowl with avocado is very inviting! I should try this recipe! have you tried red quinoa, it has a better flavor than the regular kind of which I don’t care for. I’ve tried red and regular mix. But I guess I wasn’t ready for quinoa. I get it. Sometimes we aren’t ready and then a year later or even just weeks or months it is amazing. Lol. Yes! I just bake another portion of potato pancakes. Nelle didn’t eat… at first, but know she’s asking more! I love red quinoa, the other kind is bland but love the red kind. I can’t wait to try this out! I was surprised how much more I liked it. And especially after cooking in broth as opposed to just water. I need to try quinoa. I’m a little nervous to! haha. How is the texture? I actually love the texture. Indeed. Hope you are doing better sweet friend.